This is beautiful such a gorgeous colour, I saw quite a few growing while we were in Derbyshire I have taken some pictures, when Iv e got round to it Im going to write a blog! Why haven't I got any in my garden? I really should. Maybe it won't be too late to look for them at Malvern?? Spritz, if you're on the A370 again you'd find them at the big garden centre there. This photo is of species Colchicum. 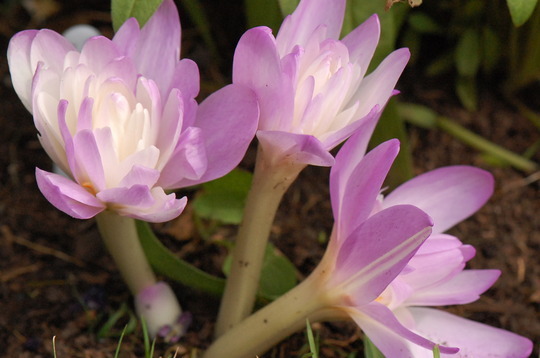 See who else has plants in genus Colchicum.